Since the Renaissance, architects have sketched and measured all facets of architecture in portable bound books. Architects have used the sketchbook to record historical artifact in both pictorial representational, three-dimension sketches, and in carefully-measured drawings drawn to scale. This course will introduce the participants to a method of sketchbook drawing that is focused on accurately-measured drawings of accessible architectural details, drawn to scale in a sketchbook. This course will emphasize analytical orthographic drawings of plan, section, elevation, and profile. Subject matter for measuring and drawing can range from large-scale urban elements, such as squares, streets, street sections, courtyards, and gardens, to small details such as doorways, windows, stairs, ornamental stone carving, column capitals and bases, moldings, ironwork, millwork, and paving. The course will consist of two parts. The first part, on Friday, September 21, is an evening lecture and discussion on the history of measured sketchbook drawings, from Palladio to the present day, and a discussion of the importance of the Morris-Jumel Mansion in the age of classical architecture in colonial America. We will also review the precedents that may have informed the design. 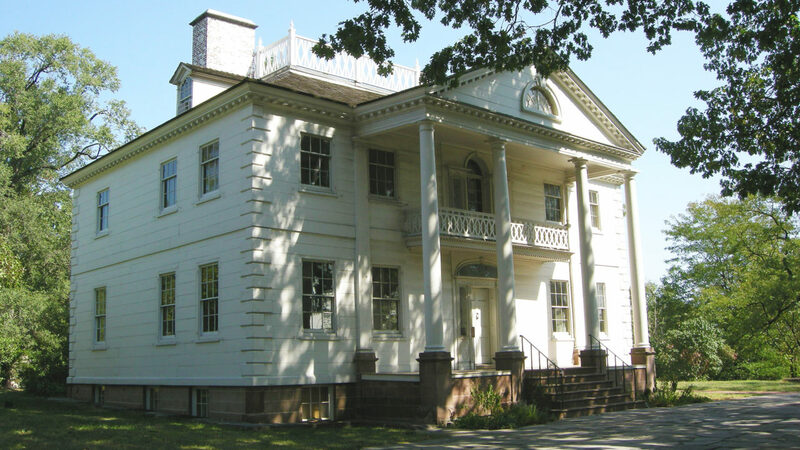 The second part of the course, on Saturday, September 22, will consist of measured drawing exercises at the Morris-Jumel Mansion. The ICAA would like to thank the Morris-Jumel Mansion for graciously welcoming participants for the September 22 session of this course. 12ft steel tape measure in feet and inches, to the 1/16"
The course is intended for both students and seasoned architects, as drawings can be tailored to experience level. No specific artist training is required. Basic pencil drawing and drafting skills are recommended, including knowledge of the use of an architectural scale and tape measure. A passion for classical architecture and a love of drawing are required. To register for a continuing education course hosted by the ICAA National Office, you can use the registration link noted on the program page, email [email protected], or call 212-730-9646 x112. Please also note the ICAA National Office Registration and Cancellation Policy, which you may access by clicking here. ICAA Chapters manage course registration for their own events. While Chapter programs may be listed on classicist.org, you should check the Chapter website, or contact the Chapter directly, for the most up-to-date details including dates, times, pricing, and information on how to register.